Stem cell and regenerative medicine research is a hot area of research which promises to change the face of medicine as it will be practiced in the years to come. Challenges in the 21st century to combat diseases such as cancer, Alzheimer and related diseases may well be addressed employing stem cell therapies and tissue regeneration. 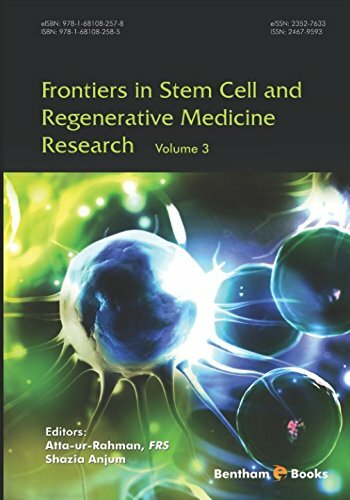 Frontiers in Stem Cell and Regenerative Medicine Research is essential reading for researchers seeking updates in stem cell therapeutics and regenerative medicine. The third volume of this series features reviews on the use of stem cells in bone repair, neonatal brain injury and esophageal tissue engineering. The volume also features an update on current knowledge on regenerative medicine for lung tissue in pulmonary disease. This entry was posted in stem cell research and tagged cell, Frontiers, Medicine, Regenerative, Research, stem, Volume. Bookmark the permalink.